The ProKick event - will give the kids an opportunity to compete on a fight-card alongside some of the country's top amateur fighters in an International show dubbed, Easter Eggs-Travaganza. TODAY will see two junior Martial Art teams go head to head in a a kickboxing friendly team event. Kids from Belfast as young as 7 years-old who will strut their moves when they face the Wolfpack gym from Athlone. The Southern Irish junior team is headed by top coach, Leon Parsons. Parsons, brings his team to Belfast TODAY Sunday 13th April for a light-contact friendly team competition, organised by The Peace Fighters initiative. For the hardened fight fan you will not be disappointed, no less than 20 fights back-back with competitors from, Switzerland, Belgium France, England, Scotland, ROI and Northern Ireland. All, who will go between the ropes alongside fighters like; Alex Ciocio, and Johnny Smith. Sorry there are no tickets left with only limited ringside left at £40. 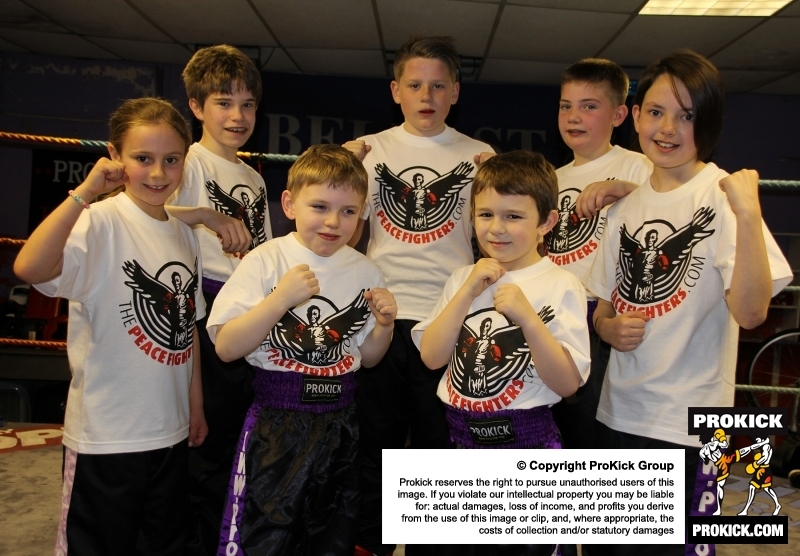 ProKick kids are at a knock-down price at just £5 - children must wear their ProKick uniform be accompanied by an adult. Good luck to all the Prokick team, I have seen how hard you all work in the gym, your dedication and commitment to prepare for these fights is a credit to you all.Mr Murrays training regime has you all in great shape for this challenge,the foundations are layed now it’s your time to finish the job.Have a great day and enjoy the experience.